Frequently Asked Questions By Patients. What type of doctors can help me? Cryoglobulinemia can affect many areas of the body. People with cryoglobulinemia are treated by rheumatologists, dermatologists, hematologist/oncologists, ophthalmologist, nephrologists, neurologists, and cardiologists. Your principal physician will vary depending on your dominant symptoms and the healthcare system you utilize. Can cryoglobulinemia be associated with other diseases? Yes, cryoglobulinemia is predominately be associated with other diseases. The vast majority of the time cryo is associated with Hepatitis C (HCV). In other cases, it can be associated with Leukemia, Multiple Myeloma, macroglobulinemia, Rheumatoid arthritis, Systemic lupus erythematosus or monoclonal gammopathy. Essential Mixed Cryoglobulinemia (EMC) is when there is no specified disease that caused the cryoglobulinemia. EMC is the rarest form of cryoglobulinemia. When the cryoglobulin proteins are a mixture of various antibody types, and forming for unknown reasons (essential), the conditions is referred to as essential mixed cryoglobulinemia. Essential mixed cryoglobulinemia is characterized by joint pains and swelling (arthritis), enlargement of the spleen, skin vasculitis with purplish patches, and nerve and kidney disease. How do I get an accurate cryoglobulinemia test? What are additional tests that my doctor should run for underlying diseases? Check for lupus antibodies, check for ANA, check for anti-pr-3, rheumatoid factor, and a rheumatoid panel. Basic checks include a full metabolic panel, a CBC, urinalysis, ESR, and non-cardiac CRP. Cryo is really rare, but one can also check for cryoglobulins (qualitative). Look for indications of an inflammatory process. If it appears to be autoimmune, check for crazy stuff like Lyme disease, HIV as well as Hep-A, B, C antibodies. Additionally, the Hep-C might be followed with a Hep-C RNA test (expensive) if the antibody test comes back negative. Check for crazy stuff like metals, silica, and crazy toxicity if all else fails. 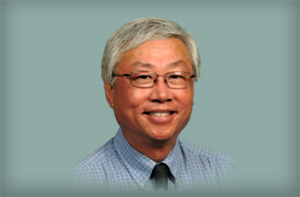 Dr. Chee Chow graduated from Yale University School of Medicine in 1981. He was an internal medicine specialist and a rheumatologist. His internal Medicine training was conducted at Kaiser Foundation Hospital Los Angeles. His Rheumatology training was conducted in Los Angeles County, University of Southern California Medical Center. He retired from Kaiser Permanente Oakland Medical Center in 2015 with 34 years experience. Dr. Chow was Eileen Propp’s rheumatologist from 1993 – 2015. Eileen credits Dr. Chow with saving her life. Ask the blood draw tech to place the red-top tube into a 37-degree heating block so that the blood can clot at body temperature. Otherwise, the test will show a negative result even when cryos are present. Manifestations vary widely from one person to another. Some people with cryoglobulinemia have no clinical manifestations at all and need no treatment.